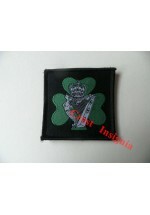 1778 Royal Irish, unit ID morale patch. Velcro backed unit ID + morale patch. The Royal Irish Regiment. 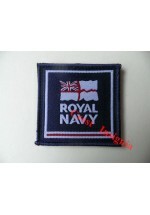 ..
1779 Royal Navy unit ID morale patch. Velcro backed unit ID + morale patch. The Royal Navy. 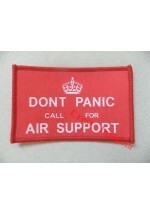 ..
'Dont Panic, Call For Air Support' team / morale patch. Colour. Velcro backed. ..
1782o 'Dont Panic, call for air support' patch, olive. 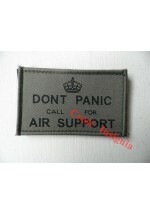 'Dont Panic, Call For Air Support' team / morale patch. Subdued. Velcro backed. ..
1783c 'Keep Calm, Brew-up' patch, colour. 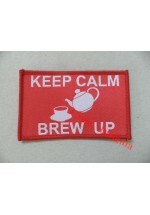 'Keep Calm, Brew Up' team / morale patch. Colour. Velcro backed. ..
1783o 'Keep Calm, Brew-Up' patch, olive. 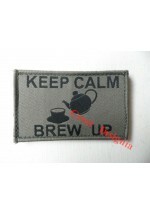 'Keep Calm, Brew Up' team / morale patch, olive. Velcro backed. 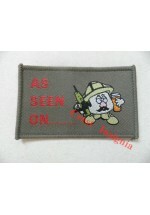 ..
'As Seen On . . . . ' [Mr potato head] morale patch. Velc..
1785 'Pressure Plate' [dont tread on me] morale patch. Velcro backed team / morale patch. 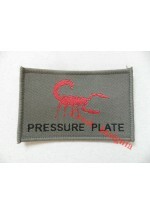 'Pressure Plate' [dont tread on me!]. 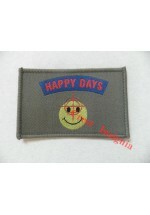 ..
1786 'Happy Days' sniper morale patch. 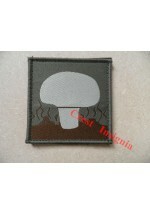 Velcro backed, sniper team morale patch. 'Happy Days' ..
1787 'Like This' morale patch. Velcro backed team / morale patch. 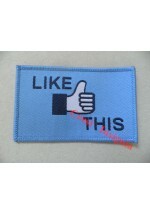 'Like This' ..
1788 'Dont Like' team morale patch. Velcro backed team / morale patch. 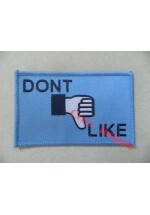 'Dont Like' [mr grumpy]. ..
1789 'Salad Dodger' special forces morale patch. Velcro backed spoof special forces morale patch. 'Salad Dodger' ..
1790 'Piefinder' special forces morale patch. Velcro backed, spoof special forces morale patch. 'Piefinder' ..
1791 'Chairborne' special forces morale patch. Velcro backed, spoof special forces morale patch. 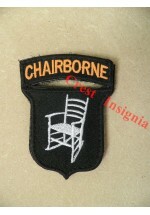 'Chairborne' ..
1792 'Who Sells Wins' special forces morale patch. Velcro backed, spoof special forces morale patch. 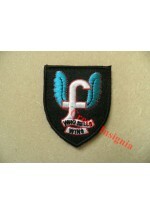 'Who Sells Wins' ..
1793 'Secret Squirrel' morale patch. Velcro backed spoof special forces morale patch. 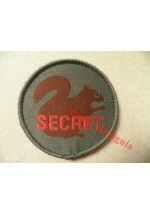 'Secret Squirrel' ..
1794 'Mushroom' [kept in the dark] morale patch. Velcro backed team / morale patch. 'Mushroom' [kept in the dark, fed on bull####]. 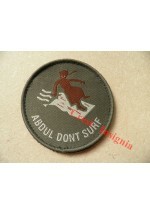 ..
1795 'Abdul Dont Surf' morale patch. Velcro backed team / morale patch. 'Abdul Dont Surf' ..
1796 'Front Towards Enemy' claymore patch. Velcro backed team / morale patch. 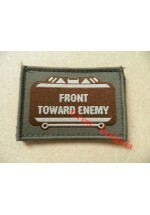 'Front Towards Enemy' [claymore]. 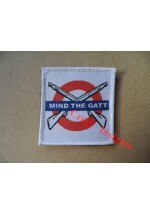 ..
1797 'Mind The Gatt' morale patch. Velcro backed team / morale patch. 'Mind The Gatt' ..